Features a lightweight and durable design, for use with TA4F-connection microphones, compatible with Shure FP Wireless and SLX Wireless. TQG (also called TA4F or 4-Pin Mini) is a four pin audio connector used available for all Shure bodypack tranmsitters and all Shure wireless microphones. 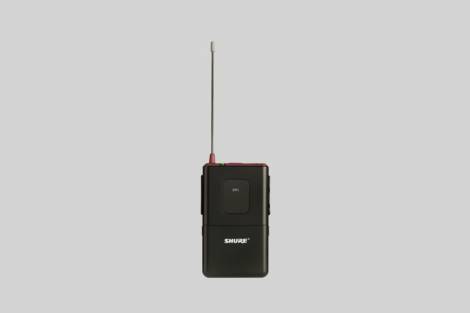 FP1 Wireless Bodypack Transmitters feature a lightweight and durable design, for use with TA4F-connection microphones including lavaliers and headsets. 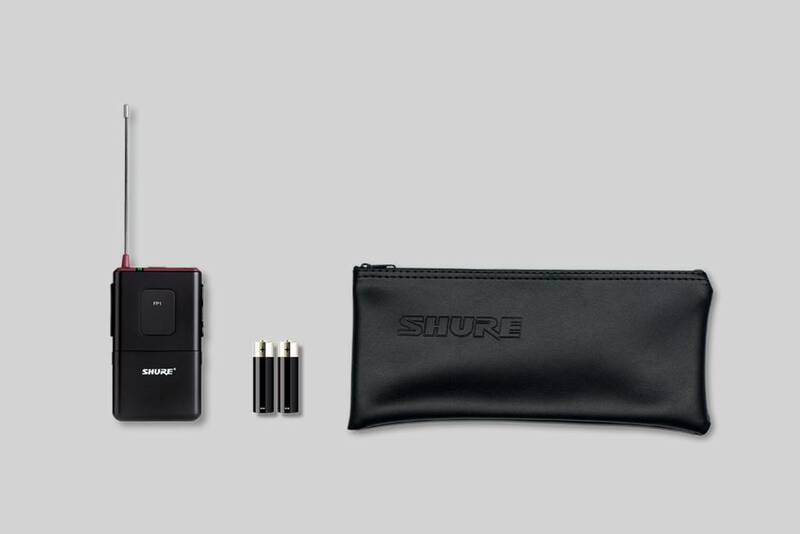 For use with Shure FP Wireless and SLX Wireless. FP Wireless Systems feature patented Audio Reference Companding for crystal-clear sound beyond the limits of conventional wireless technology. RRP for the FP1 is £169.